Have you heard of The Caterpillar? 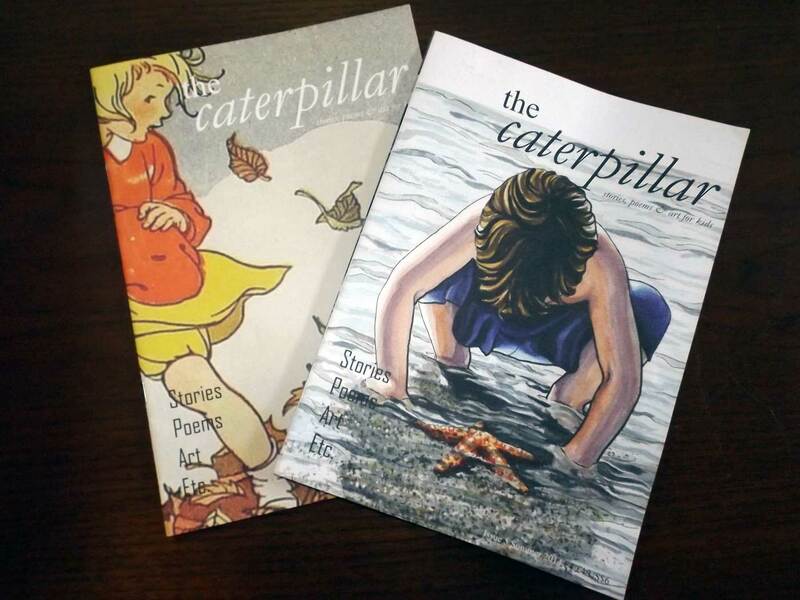 It’s a literary magazine for children (ages 7-11ish) that’s published in Ireland four times a year. Beautifully uncomplicated, it’s filled with children’s stories, poetry and art that is obviously written and compiled by people who have a love of words. It doesn’t talk down to kids. It has fun with them. If a magazine encourages children to read, then that’s great; sadly, though, many kids’ varieties are repetitive and commercialized. Well, The Caterpillar isn’t. It’s refreshingly different. For all those budding children’s writers The Caterpillar is offering a short story competition: The Caterpillar Story For Children Prize 2016. This year it’s being judged by award-winning children’s writer Mark Lowery, author of The Jam Doughnut That Ruined My Life, Pants Are Everything and Socks Are Not Enough. The competition is open to anyone and can be entered by mail or online. There’s a 1,500 word limit and a $12 entry fee (per entry). First prize is $500 (plus a two-week writing retreat), second prize is $300 and third is $200. So get writing! The closing date is September 30th.